Making music with kids: Music at home- Play the black keys! Music at home- Play the black keys! The piano has a really, really nice feature. While most of us remember accidentals and black keys from piano lessons with fear and trembling, if you play JUST the black keys, you've found a pentatonic scale. And many, many common melodies are solely pentatonic. 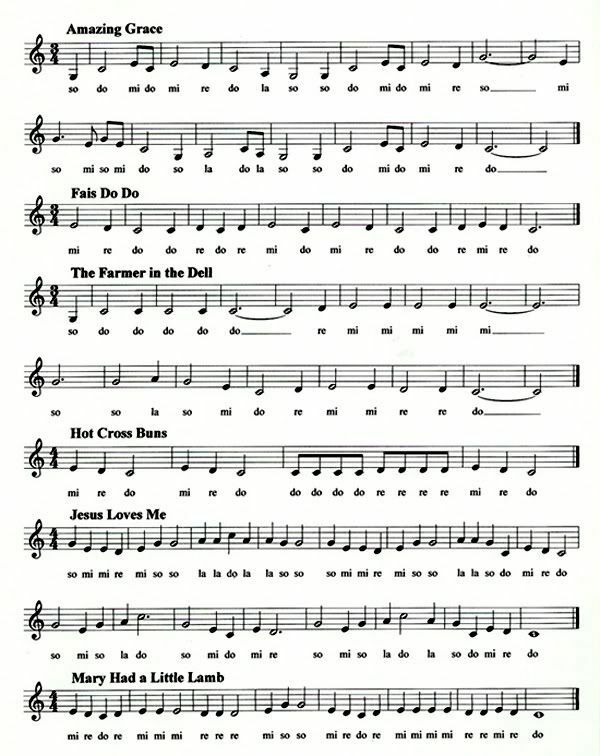 The example above is from the website http://www.pentatonika.net/-which is a website focused JUST on pentatonic melodies and contains a wealth of songs. Chances are high that one of your child's favorites is playable on the black keys-so sing, play, and try to figure it out! You'll be developing your child's musical ear, their attention and concentration skills, and developing a feeling of accomplishment at the same time. Practice locating lines and spaces on the staff, and counting from the bottom-first line, 2nd line, first space, and so on. This is a helpful skill in later music reading. Practice making and reading 4 count rhythms using the quarter note (ta) and the quarter rest (shh) symbols. The song "I like to play the sticks" is designed for this task. Music at home-So much music for mi! Terrific Toddlers and lots of boats! The fair is in town!-Let's learn at home!